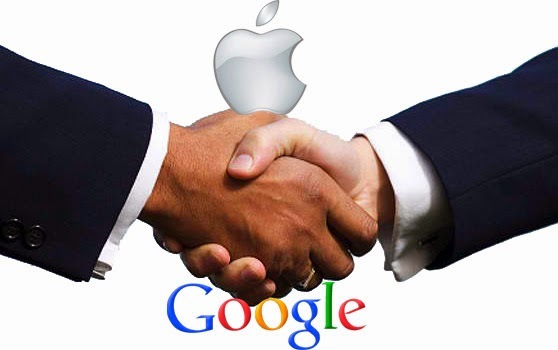 Google, the company behind the most popular mobile operating system Android, and Apple, the iPhone maker, reportedly reached an agreement to end patent battles against each other. Both companies further agreed to work together on patent reform, although they made it clear that cross-licensing isn't possible, at least, at this time. The companies failed to comment on why they have reached such an agreement. But it was in 2010 when these big shots in mobile world began their battle. Motorola, which was acquired by Google for $12.5 billion, sued the Cupertino-based tech magnate first and the latter filed patent lawsuits after. It is almost impossible to believe that these companies would play nice with each other but it must be that they discovered mutual benefits when they work together. Both have been the targets of patent trolls (businesses that exist solely to buy patents so they can sue others) in the last 5 years. The agreement, however, doesn't affect Apple's battle against the Korean multi-national company Samsung over some patents.